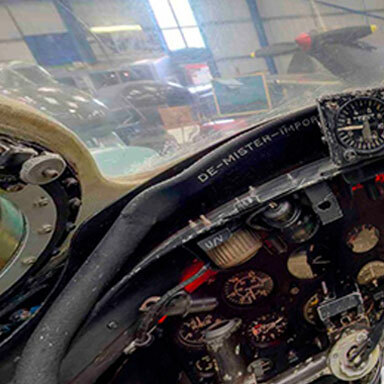 The Museum is pleased to announce that the SE 5a replica cockpit project that commenced in July last year has now been completed and that the cockpit is now open to the public. In order to enhance the open cockpit experience for our visitors, a large fan has been installed to simulate propeller draught and a sound module, made by Museum volunteers Pete Pitman and Kieran Wisely, has been fitted to enable the visitor sitting in the cockpit to hear the simulated sounds of the SE 5a’s Hispano-Suiza engine starting up and running and its Vickers and Lewis machine guns firing. Visitors should note that the cockpit is restricted to adults who can safely access and sit in the small cockpit and entry is only permitted with a member of staff present. 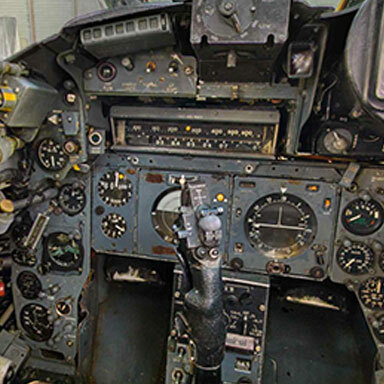 The Museum reserves the right to refuse entry to the cockpit.